Yale University’s School of Management today (March 5) named a University of Chicago economist with no experience in business education as its new dean. Kerwin Kofi Charles, a distinguished service professor at the Harris School of Public Policy and the college in the University of Chicago for more than 18 years, will succeed Edward ‘Ted’ Snyder on July 1. Charles, one of only a handful of African-Americans to become dean of a major business school and the first dean of color at SOM, will be following one of the most successful business school deans of his generation. Snyder came to Yale eight years ago after two previous deanships at the University of Chicago’s Booth School of Business and the University of Virginia’s Darden School of Business. Since his arrival at SOM, Snyder has extended the business school’s global reach, most notably by founding the 30-school Global Network for Advanced Management that has resulted in a number of innovations. 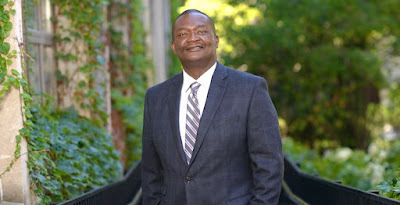 He also has moved the school up in numerous rankings, boosted graduate enrollment, and deepened SOM’s connections to Yale University. Yale passed over two highly qualified and admired deputy deans who have been instrumental in the school’s increasing prominence under Snyder: Anjani Jain, deputy dean for academic programs, and David Bach, deputy dean for academic programs. One of Charles’ first tasks will be to try to retain their expertise to allow SOM to build on the momentum Snyder’s senior leadership team has created.